What will I need for the business license application? Although business license applications vary by city, the typical items asked for on a business license application include the name of the business, the type of business entity, the business address and phone number, the nusmber of employees, the general nature of the business, the tax ID number, and your anticipated sales revenues. 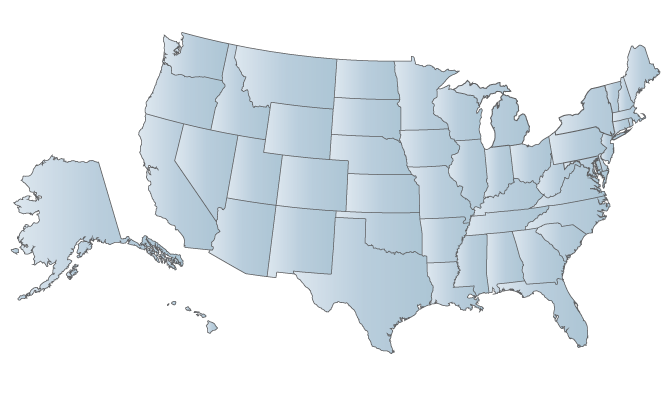 Apply for a business license now by finding your state using the map below. This site will help you to easily find out how to get a business license in your city. In most cities and counties, if you are engaged in any trade, business, occupation, or profession, you will need to apply for a business license in the city or county where your business is located. If you have multiple business locations you will need a business license in each city or county where your business branches are located. Many larger cities now allow you to apply for a business license online! Most cities have downloadable business license forms that you can print and mail or hand-deliver to the city office along with your application fee. A business license may not be known as a “business license” in every city, but may be called something else. A business license may be called an occupational license, business tax permit, general excise tax license, gross receipts tax license or privilege license. Business licenses are required by city ordinances to regulate occupations and businesses in order to protect the public and to collect tax revenues. If you are engaged in any trade, business, occupation, or profession, you will need to apply for a business licence in the city where your business is located. The cities also keep a record of your business in the city’s database for various purposes, such as regulation of business activities, law enforcement, zoning, statistics, urban planning, and collecting taxes. Most cities require business licenses from every type of business, even home-based businesses. Why do I need to pay a business license fee? A business license application is basically a tax payment to the city for the privilege of doing business in that city. Cities collect fees from the business license applicants and place the majority of the fees in to its general fund for the administration of city services, such as police, fire fighters, road work, parks and recreation and other community services that benefits citizens and businesses. For retail businesses, when a consumer pays sales tax on goods it buys from a store, the business pays the sales tax to the state or county and the city receives a portion of the sales tax revenue for its general budget. Business licenses help cities keep track of who should be paying sales tax in their area. County business licenses are usually required when operating a business in an “unincorporated” area of the county, meaning that you operate the business in a small town or village that is run by the county. Some counties only require business licenses for certain types of industries and occupations. The types of businesses for which county business licenses are normally required include those that are believed to concern the public health, welfare, or safety and that the county believes need to be regulated. These include such occupations as Auto Repairs, Body Piercing and Tattoos, Gun Dealers, Health Spas, Locksmiths, Massage Parlors, Pawnbrokers, Taxicab Drivers, and Tow Truck Operators. Unlike typical business license applications in a city, a county’s business license form may vary greatly by the type of business or occupation for which the license is needed. The typical items asked for on a business license application include the name of the business, the type of business entity (partnership, corporation, LLC, or sole proprietor), the business address and phone number, the number of employees, the general nature of the business, the business federal tax identification number (FEIN), or your social security number, and your anticipated sales revenues. Depending on the type of business you operate, you may need such items as a valid driver’s license or passport, photographs, fingerprints, references, insurance or bonds, diplomas or certificates, or other types of information or documentation related to the type of business being operated. Fingerprints are used for criminal background investigations and are most commonly required for highly regulated occupations or business such as pawnshops, tattoo artists, and locksmiths. A fee for the business license is typically charged, but may vary based on the nature of your business (such as if you are in a highly regulated business and require a background investigation) and you may also need to pay an annual renewal fee to sustain your license.